Trimming the tree and hanging up ornaments is something that the whole family can get involved with. 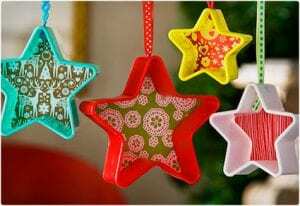 No matter if you are looking for projects for yourself, or your kids, these DIY tutorials for making Christmas ornaments has projects for people of all ages and skills. Collecting Christmas cards over the years can lead to many a stuff shoebox. Over time it can seem cumbersome to hang onto all of them. With this nifty craft, you can find a way to turn them from colorful paper taking up space in your closet into lovely new ornaments for your tree. 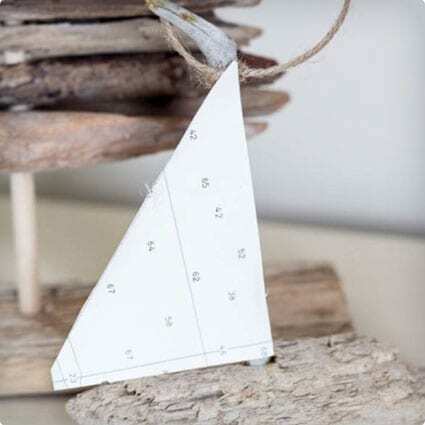 For those that live by the sea, or who adore nautical themes, this tutorial shows you how you can turn bits of driftwood into lovely little sailboat ornaments. The ease of construction makes this a great project to share with younger kids as well. 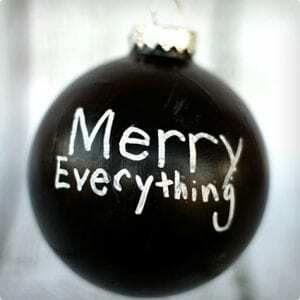 Sometimes simple is nice, and this tutorial shows you how to make lovely words on your ornaments. 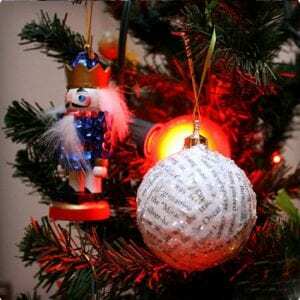 You can really personalize the look of your tree with messages and names that look charmingly elegant and festive. The basic components used also make is a great project for older kids. 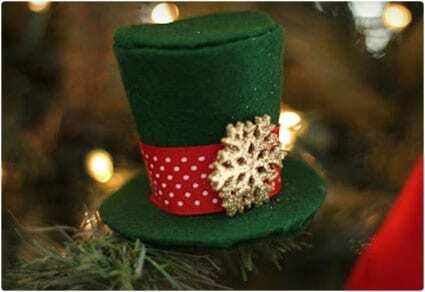 Jolly and charming, these quaint little top hat ornaments can really bring a big of class to your Christmas tree. The old tale of a magic hat that brought a snowman to life can be pair with this project for a happy holiday activity for the whole family. You don’t have to actually be able to etch glass to create amazing designs. 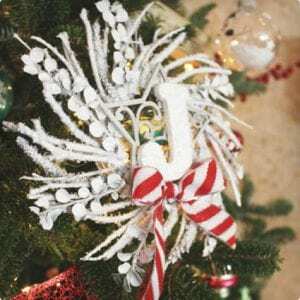 This easy tutorial shows you how to you can special effects to create professional looking ornaments that are totally personalized to you and your family’s tree. 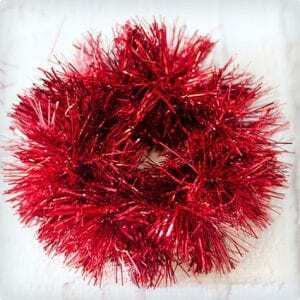 If you are not feeling all that crafty, are strapped for time, or just want something very basic, then this tinsel tutorial is for you. 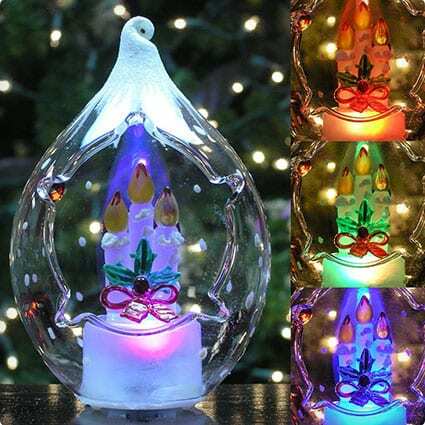 It shows you don’t need a lot to turn a plain bulb into something amazing and pretty. 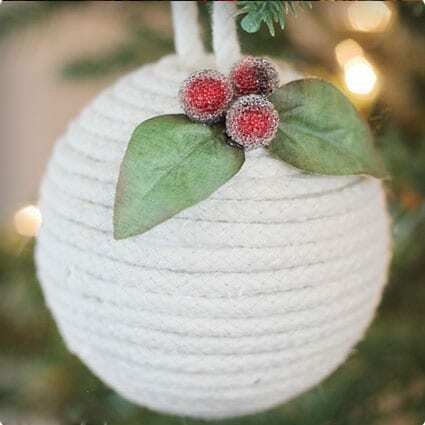 Burlap is such a rustic material and in this tutorial, it is used to create a beautiful ornament that can be pair with other rustic or country decorations. 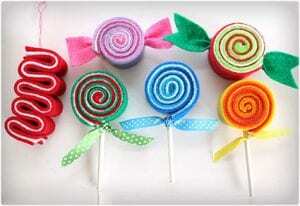 The directions are easy enough that older kids and up are likely to enjoy this project, while younger kids may prefer something more colorful. 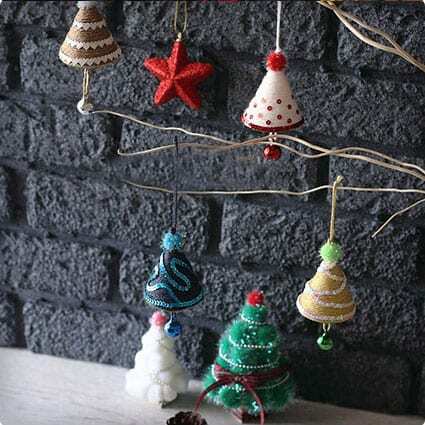 In this tutorial you are shown how you can take strands of cheap and plentiful holiday beads and turn them into beautiful and unique Christmas ornaments. Younger and older kids can enjoy picking out the beads, while using the hot glue gun should be left to adults. 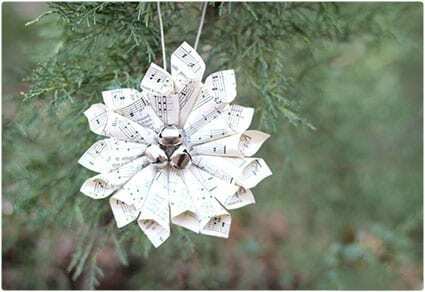 Beautiful and whimsical, these ornaments are perfect for those who love holiday music. Using old sheet music, or copies of your favorites, this tutorial shows you how to transform them in tinkling wreath ornaments. They also make a great gift for the music lover in your life. 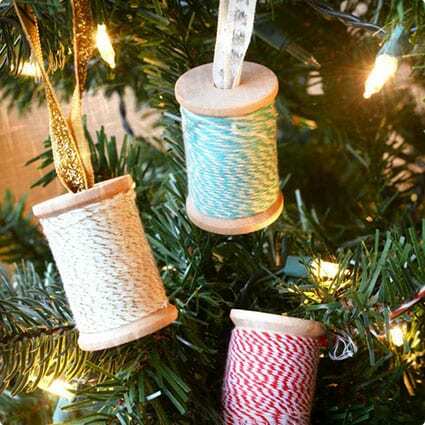 Thrifty and simple, these nautical rope themed ornaments take very few supplies to make. 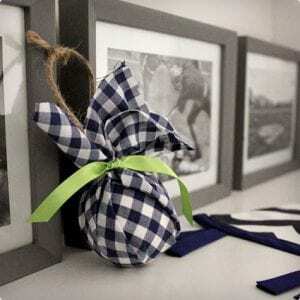 Perfect for décor that is themed after the seas, or one that is keeping things fairly neutral, all you need is a little time to wrap and secure some rope/twine. 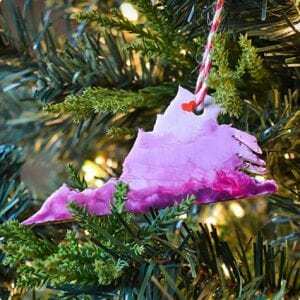 If you, or your family, are feeling homesick for another state at Christmas time, or if you want to express some pride over the places you’ve called home, this clay state ornament tutorial is perfect for you. Younger and older kids can help out, especially with the decorating phase. 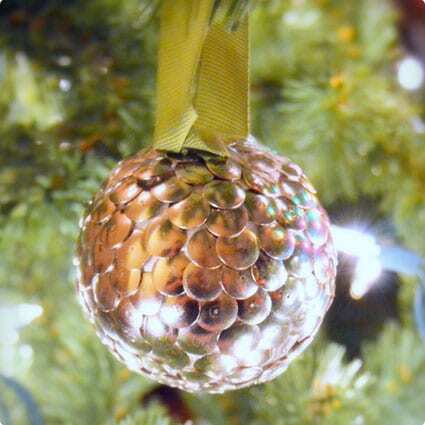 Glitter ornaments can be so fun, yet so messy. With this tutorial though, you can find out how to make a glittery masterpiece without all the issues of a regular glitter ornament. Styled after the most famous reindeer of all, young kids and up will adore this easy project. What is better than making a homemade ornament for Christmas? How about one that you can use more than once a year? These lovely and simple heart ornaments can easily double as both Christmas and Valentines decorations for your home. 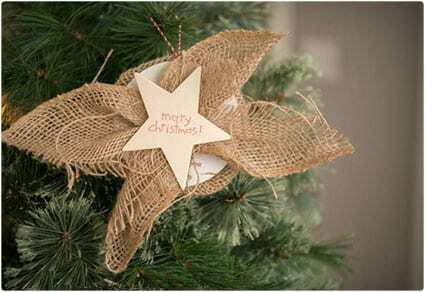 Somewhat eclectic and ingenious at the same time, this star and burlap ornament uses premade materials and up-cycled elements. 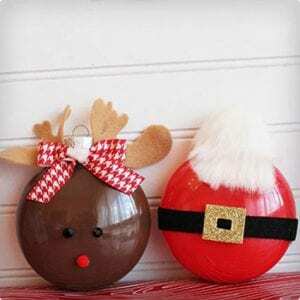 Ideal for a country or neutral theme, these ornaments are quick to assemble and fairly cost effective as well, which is great for those working on tight budget. 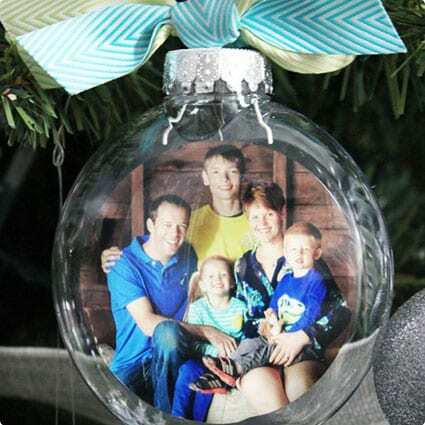 Keepsakes come in all sizes and with this project, you can make a beautiful keepsake ornament out of your kid’s fingerprints. This I a great family project since the first half involves little ones getting to play in paint, while the second half entails the adults turning random smudges into delightful holiday art. If you have tinsel and mason jar lids, then you have all the components you need to make simple and colorful wreath ornaments. The ease to construct and low material costs make this a great project to use with larger groups. 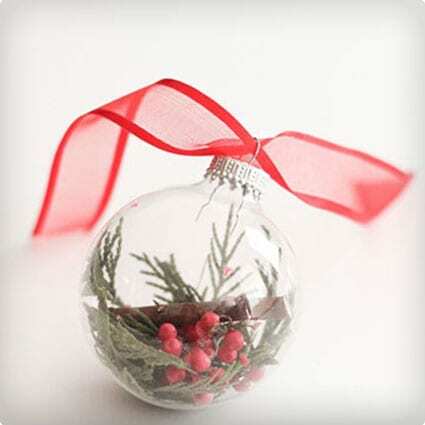 It doesn’t take much to make a simple ornament into a holiday masterpiece. 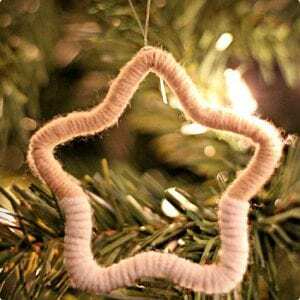 With a bit of glue, a paintbrush and some glitter, you can use the guidelines in this tutorial to create sparkling tree ornaments to match any color scheme you are using. Mercury ornaments have a unique appeal and in this tutorial you are shown how to reproduce part of their charm without the hazard. This one is definitely not for intended as a project for kids, since it involves using sprayed products and glass. 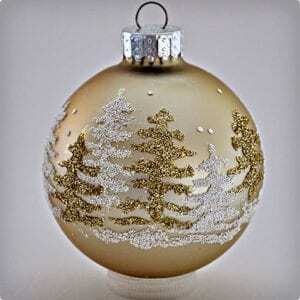 This beautiful and unusually shaped ornament will bring a certain distinction to your Christmas tree. Made simply from covered and folded card stock, it can be customized to fit in with your personal theme in terms of color are concerned. 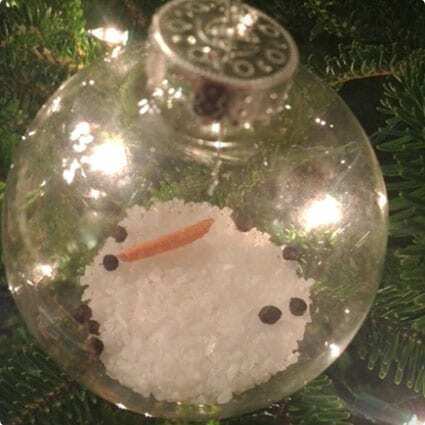 Nothing captures pure whimsy like the idea of a snow globe. 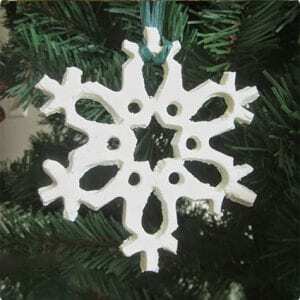 In this tutorial you are shown how to make an ingenious ornament version of one. 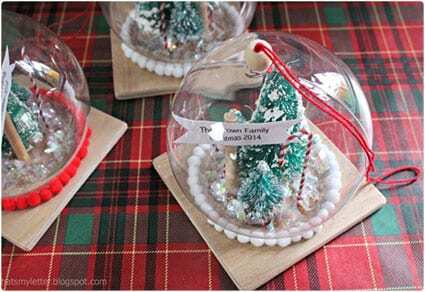 You can create all manner of winter scene inside the globe, or even get really creative and opt for something less traditional (like making a beach scene). 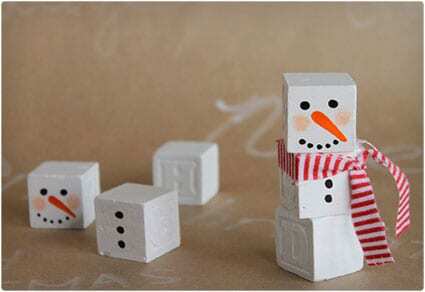 Simple and sweet, this easy to follow guide shows you how to turn old wooden letter blocks into charming little snowmen ornaments. Older kids would be more ideal to include in on this project, since it involves a fair amount of painting. Craftiness at its best, this tutorial shows you how to turn cheap plastic animal figurines into gilded holiday ornaments. Perfect for classy, woodland, or gold themes trees, these ornaments are easy to make and don’t really take that much hands on time. 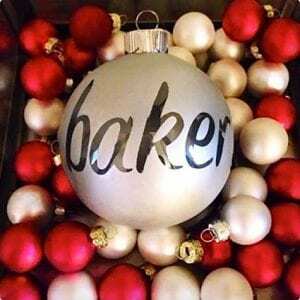 There are a million and one ways to use monograms in an ornament project. With this tutorial though, the use of twigs and layers creates a very stunning and lovely way to display a personalized monogram. 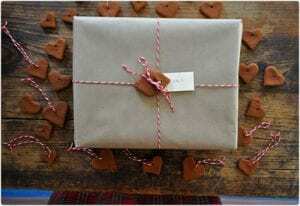 Great for personal use or as a simple gift, this is one project you will want to keep note of. 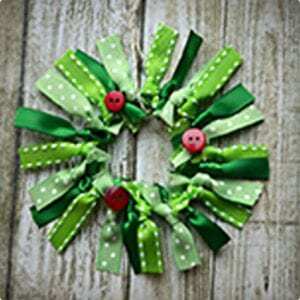 One of the simplest wreath ornament tutorials you will find is right here. Construction is easy enough the elementary aged kids and up could handle it, which means it is a great project to entertain your kids with, or introduce to a group setting. Once more, simple textures like that found in cheesecloth is called upon to make something with a country feel. This little angel ornament is deceptively simple to make and is great as addition to your tree, or introduced as a group project for Church. Snow is one of the major themes of Christmas time, and in this snowy ornament tutorial, clear string is used to create a very whimsical scene. Construction is definitely best done with adult supervision and assistance, though kids can help with a lot of simpler steps. 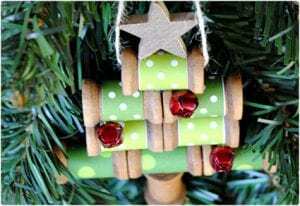 Utilizing cheap components that can be found at just about any dollar themed store around the holidays, this tutorial is quite clever. 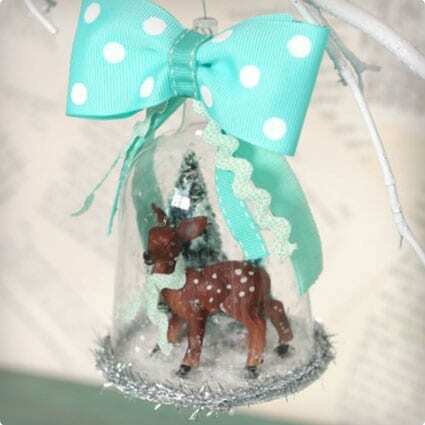 You can create a charming woodland winter scene inside what looks like a glass bell, with very little effort. This project is a real classic that many an elementary child has done. 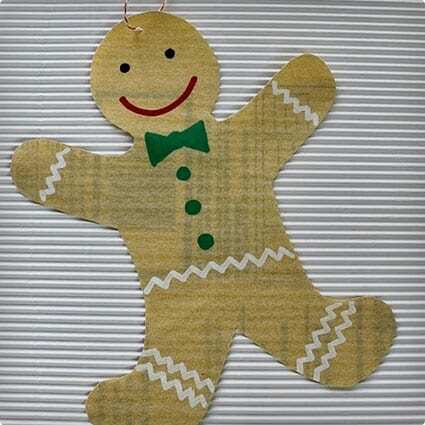 Using sandpaper and the provided outlines, you can easily make gingerbread men ornaments. 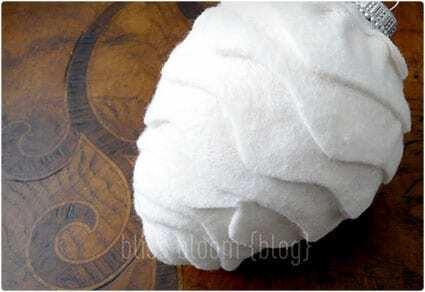 It goes without saying that this is a fairly cheap and easy to do group project, and you can even substitute felt for sandpaper, though it would need a backing to hang properly. 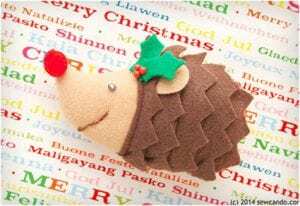 Adorable and versatile, this cute little felt hedgehog can be made into an ornament, or as a simple toy. The sewing would require an adult’s help, so this is one that kids will more enjoy looking at, or playing with, than making. The chalkboard element in this tutorial is not really chalkboard, but chalk ink on a black background. Using either wood you cut yourself or picked up at the craft store, you can follow the guide in a variety of ways. Balsa is a very light and easy to cut wood that is great for making all manner of crafts. In this tutorial, the crafter has come up with a beautiful diamond ornament, which is perfect for adding some “bling” to your Christmas tree. Taking cloth and backing it with stiff paper can produce some very interesting things. 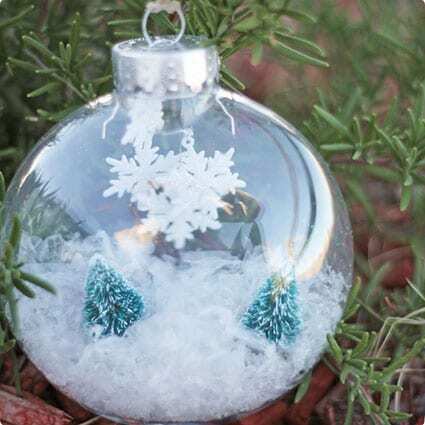 The ornament in this tutorial is a great example of how you can take very few supplies and turn them into something unique and festive in a short amount of time. Quilted crafts have a very distinct look and this lovely little craft is perfect for those that enjoy homely segmented stitches. You don’t have to be an expert quilter to tackle this project, as the guide gives very clear and easy to follow instructions. 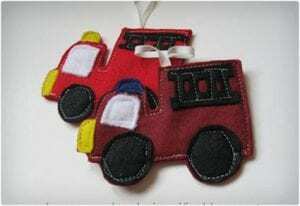 If you, or someone you know, loves firetrucks, then this is the perfect ornament tutorial. Quick, easy, and made with felt, this project is great as a gift for kids who love big red engines. It is sewing intensive, which means it is better if adults handle this one. 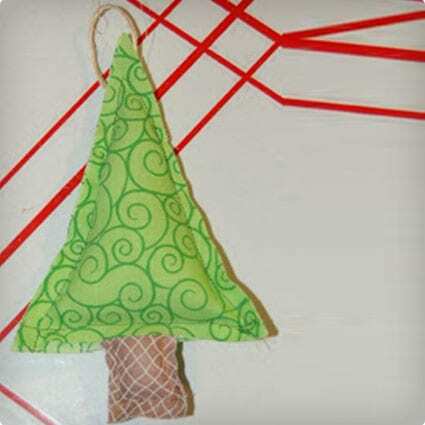 These adorable little purse ornaments are great for handing little treats on the tree with. You can size them to hold gift cards, money, or candies with ease, and initialing them makes them great as a reusable ornament. 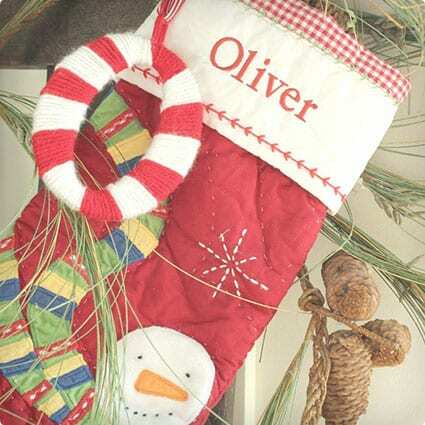 You can even start a new family tradition, or simple use them for decoration. Not for kids, this project is great for craft adults that want a real nature, or animal themed tree. 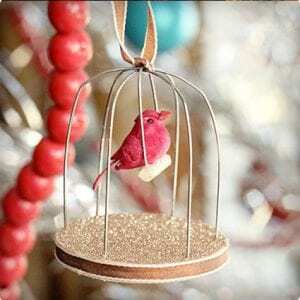 This caged bird ornament tutorial is a great project for the hobbyist that likes using their hands a lot during a project. Made using Styrofoam cones and a variety of different components, this simple little cone tree ornament is great when you want something unique. 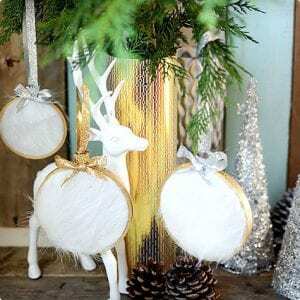 You can add bells for a tinkling effect, or keep it nice and quiet with simple ribbon and twine embellishments. If you have a set of ornaments that you have fallen out of love with, instead of tossing them out, considering this quick and easy conversion tutorial. In mere minutes you can transform your old ornaments into something new to match whatever theme you want to use. Using a simple embroidery hoop and various tidbits, you can make beautiful monogram ornaments that are perfect for your tree, or as gifts. 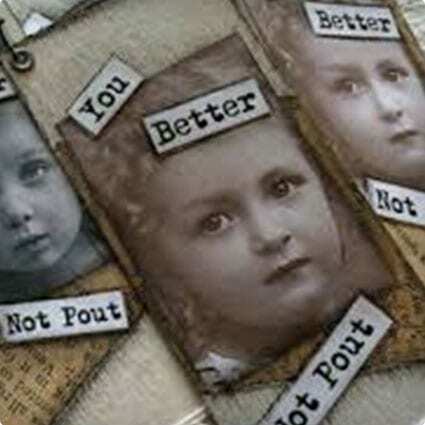 The process is not overly complicated, but it is more likely a project for much older kids and adults. 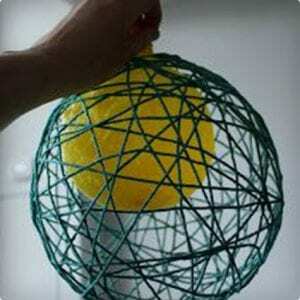 Beads and wire transform into a beautiful ornament that looks complicated, but is in fact, fairly easy to make. The ability to use a variety of beads makes this an incredible versatile project, since you can make your snowflakes traditional white, or glam it up a bid with metallic colors. 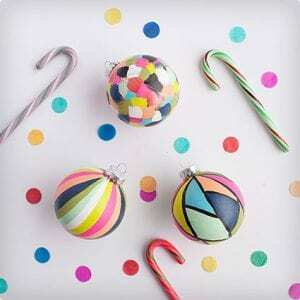 In this basic tutorial, one crafter shows you some basic steps and guides for how to hand paint ornaments in a variety of unique and colorful ways. 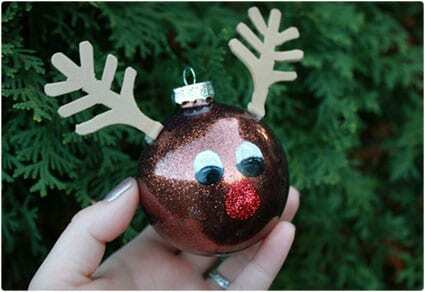 They prove you don’t have to be a professional artist to make painted ornaments that are all your own. 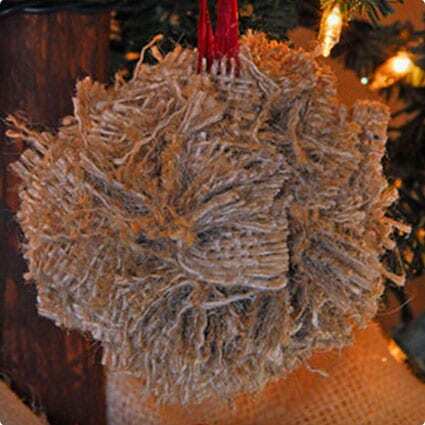 Nothing says Winter to some people like furs, and this faux fur ornament is simple to make, but classy in design. 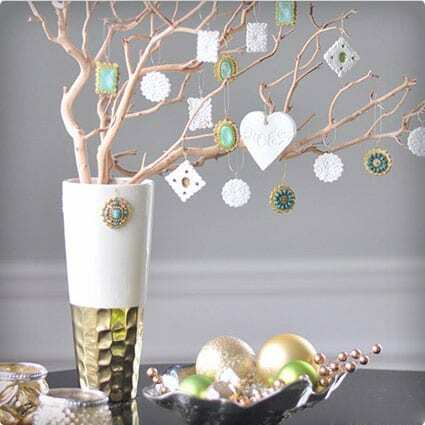 If you have a very chic Christmas tree that needs a bit of fuzzy elegance, consider this simple tutorial. The only thing better than scoring something sweet from the bargain bin at a store, is scoring something you can turn into a great craft. 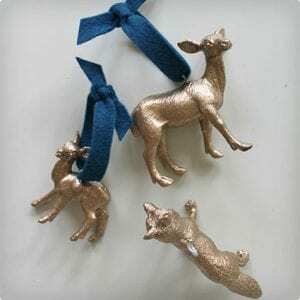 In this guide, one craft shopper shows you how to take cheap cookie cutters and turn them into cute new ornaments. If you are familiar with a time capsule then the concept behind this ornament will be no surprise. What better way to capture snapshots of your kids as they grow up then through making a yearly memory ornament that can be revisited in the years to come? Wooden spools are one craft supply that can be pretty cheap and plentiful. 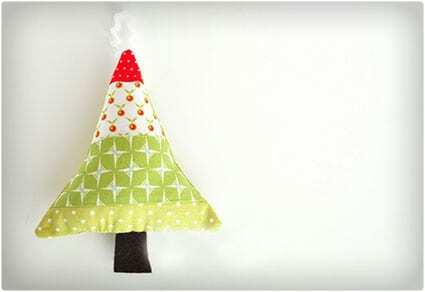 In this tutorial, you are shown how to turn them into a lovely Christmas tree ornament using simple components like ribbon and glue. You can even accent it with bells as ornaments for a bit of added charm. Wrapping things in yarn or twine is a great way to totally change the look of something, or dress up a plain ornament. In this tutorial, you are shown how to transform basic wooden letters into cheery, holiday colored ornaments that are great for accenting stockings or trees. What are the holidays without a bit of humor and good cheer? With this amusing tutorial, you can quickly and easily make melted snowmen ornaments that are sure to get a few chuckles. Kids can help out with the construction join in on the laughs. 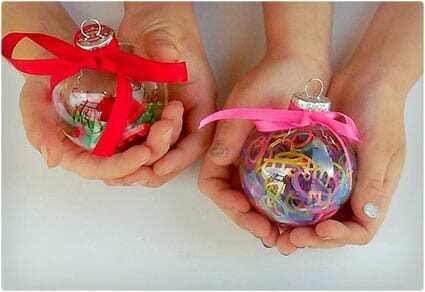 Kids love being in on the crafting fun, and a lot of ornament tutorials aren’t really geared around the kids. In this tutorial, you are given ideas for how to you can involve your kids and capture little elements about what they enjoy playing with most at their age. 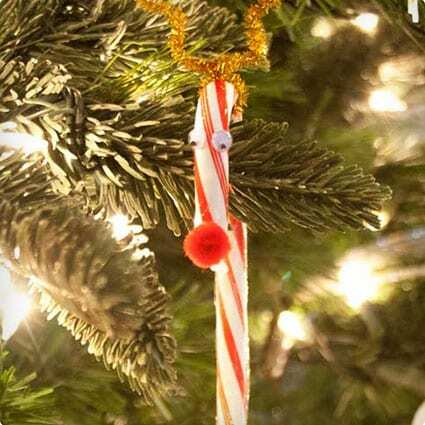 If you are willing to forgo snacking on some of these scrumptious candy cane sticks, then you can turn them into pretty and festive ornaments. For those who prefer more natural treats, turning these store bought canes into decoration will seem like a great use for them. 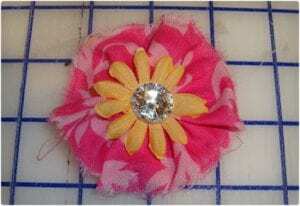 Do you have a bunch of scrap ribbon lying about? Is it pretty and holiday themed? 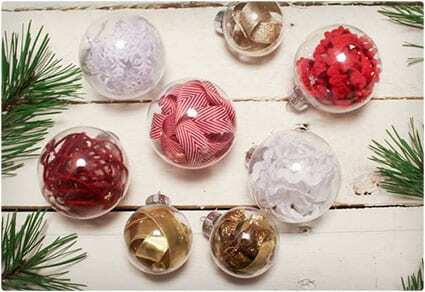 You can quickly and easily turn them into lovely ornaments using clear plastic shells and some scissors. This simple guide shows you how making something lovely for the holidays can be simple and really inexpensive. 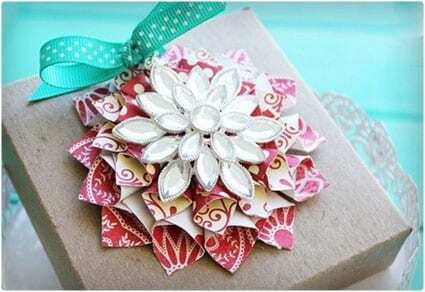 Using the recipe provided, you can create beautiful home baked ornaments with a lot of customization. 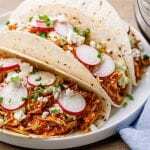 This is a great project to get family members involved with. 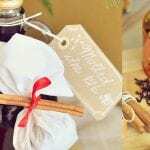 You can even use the recipe to make different types of ornaments, such as monogrammed, or keepsake style memento ornaments. When one crafter’s beloved pet got a hold of their ornaments, instead of tossing them in the trash, the decided to re-purpose them into new ornaments. 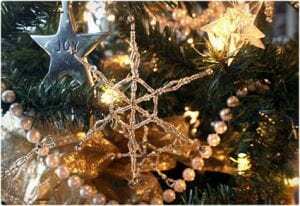 You can use this tutorial as inspiration for re-purposing your old and broken ornaments, or for making new ones based on this design. 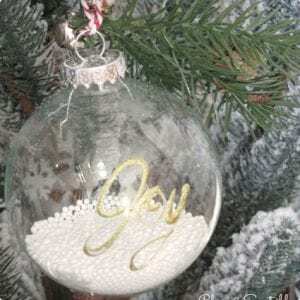 German glass glitter has a distinct appeal and in this tutorial, you are shown how to turn into a beautiful and elegant ornament using nothing more than a clear bulb and some glue. The mess potential is pretty high, given the fact it is still glitter, so be sure to attempt this is a kid and pet clear zone. Absolutely one of the most creative uses for home cardboard scraps, this project uses some real cleverness to create adorable hot chocolate ornaments. 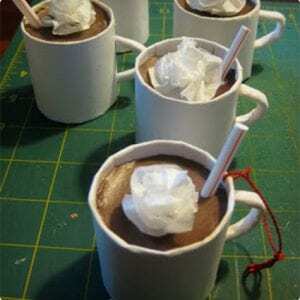 You can easily decorate and personalize the mug portion or keep with the basic colors in the tutorial. For those who like a real natural appeal to their ornaments, this botanical tutorial is very simple and creative. 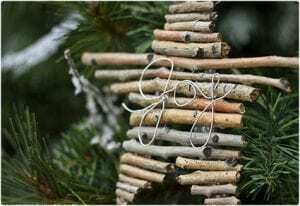 Using local forage, or store bought bits, you can easily make these nature themed ornaments for your tree, or as general holiday decorations. 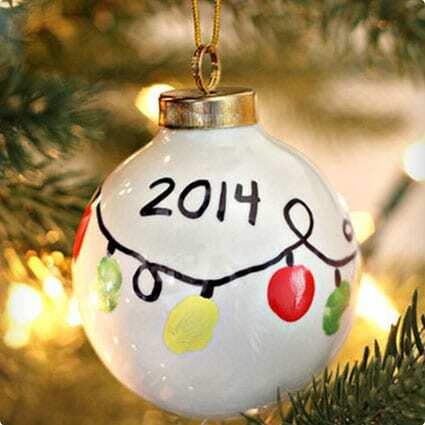 You don’t have to have perfect handwriting skills to make beautifully scripted ornaments. In this tutorial, all you need are stickers in the font you want and some paint. You can even take it a step further and use the technique to make outline pictures, like stars and trees. 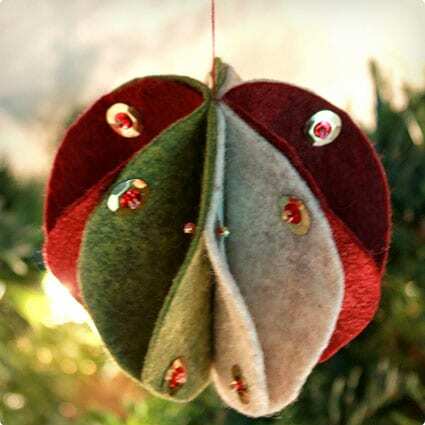 Resembling flowers or seed pods, these felt ball ornaments are relatively simple to create and take very little in terms of material costs. You can use a variety of different colored felt, or keep it monochromatic for a very basic design theme. Pokemen are beloved by kids of all ages, both in body and spirit. 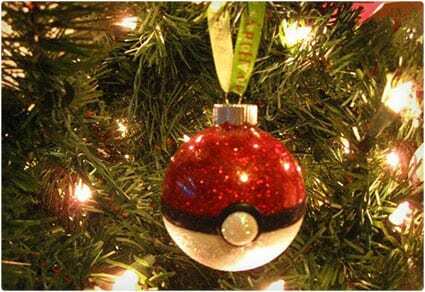 This simple tutorial walks you through creating a pokeball ornament that is sure to delight fans. If you want a lighthearted, or geek themed tree, this is a perfect addition. 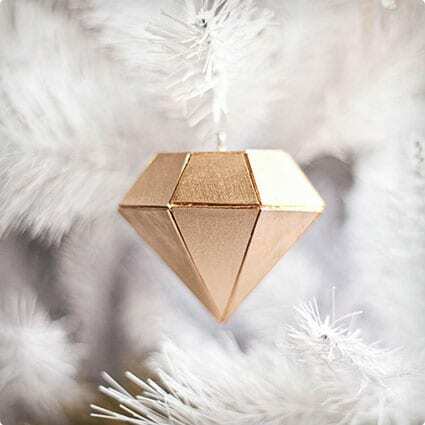 The guide in this tutorial illustrates a very clever way to make unique ornaments. 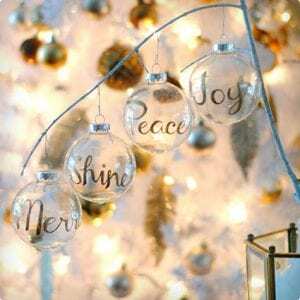 You can use the recommended source, or you can take the method and apply it to other labels that have designs you’d like to capture for your tree. 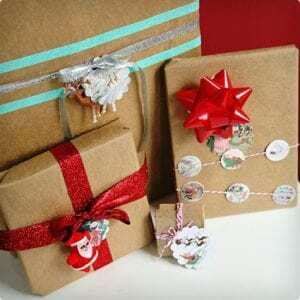 As a bonus, depending on how you back them, you can also use them as gift tags. 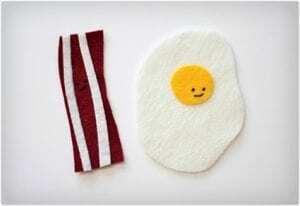 What is bacon without eggs, or vice versa? In this cheerful little tutorial, you will be shown how to make charming felt bacon and egg ornaments for your Christmas tree. While they are perfectly unconventional, anyone who is a fan of breakfast can appreciate these ornaments. In this free printable tutorial, you are given a selection of vintage scenes to turn into gift tags, which can also double as simple ornaments. 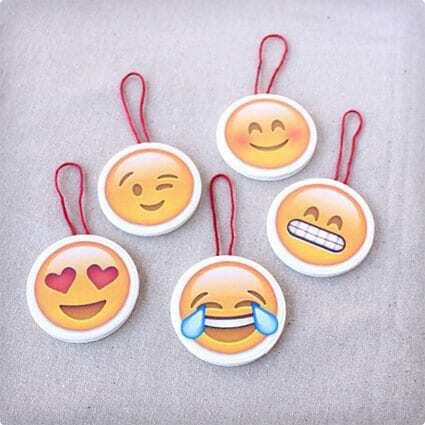 If you want to use them as the latter, you can use double sided tape to pair them up, or cut out felt circles for them to be glue to with a bit of trim. Ornaments made from gingerbread lend a wonderful aroma to any Christmas setting. 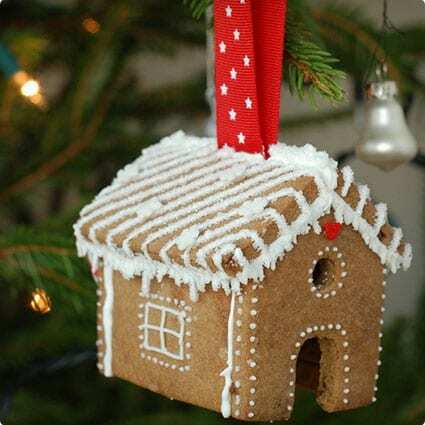 In this tutorial, you are given the guide to create miniature gingerbread house ornaments that are a delight to behold. Though it should be noted, once decorated, they are not for eating, so keeping them up away from pets and small kids is advised. In this incredibly uncomplicated guide, one crafter figured out a way to make creative felt ornaments using her sewing machine as the source for decoration. If you have a machine with a bunch of stitches that you never use, which just about every machine comes with these days, you can follow along with this tutorial. You can easily turn your fabric scraps into something amazing. 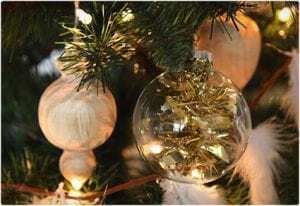 Following this guide, you will learn how to give your old ornaments a makeover into something unique. This is a great way to refresh your tree and update the theme with new colors and patterns, without spending a lot of money. 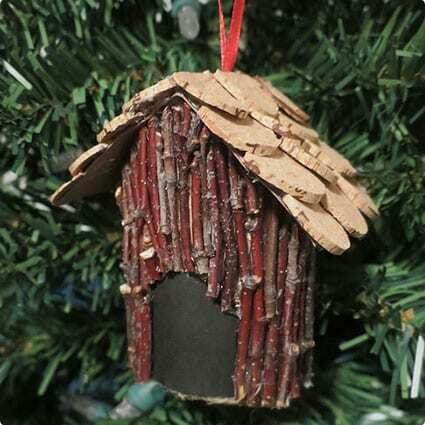 Using toiler paper rolls, twigs, and a cork, you can create this amazing birdhouse ornament. Seeing the finished project can astound, give how simple and basic the materials are that were used. 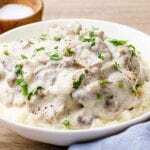 Overall, the process involved is not something for little ones to really tackle, but they will definitely enjoy gazing at the finished result. 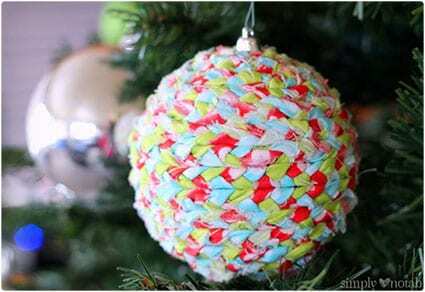 If you have yarn, a glue gun, and a Styrofoam ornament, then you can create these quaint and colorful yarn ball ornaments. It is possible to even use the wrapping technique on an old ornament to give it a makeover, so the costs for this project can be kept very cheap. 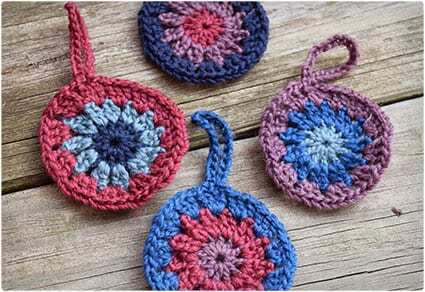 You don’t need a lot of sewing skill to create these simple ornaments. 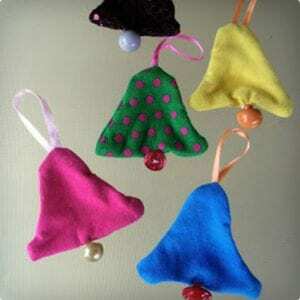 In fact, if you can sew in a straight line, you can make these simple and cute Christmas tree ornaments. All you need are scraps in the green and brown shades, along with stuffing and any sort of added decoration you may like. 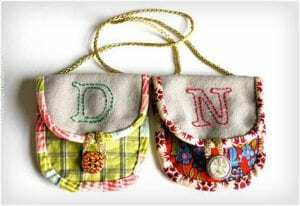 These amazingly cute little handbag ornaments are simple and cheap to make. 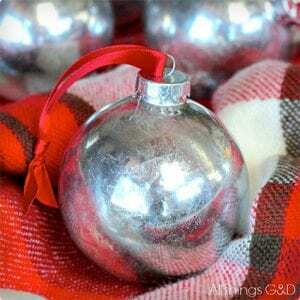 They are perfect for anyone who wants a girly accent for their tree, or who loves shopping and wants to really incorporate this into their personalized decoration theme. These simply scrumptious smelling ornaments are not safe to eat, but they are great for adding decoration and aroma to your tree. 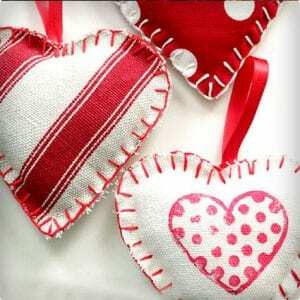 Made with few ingredients, you can shape them as suggested, or as your like to make rustic looking decorations. 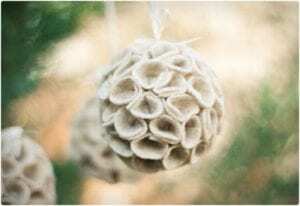 While many projects might make use of real pine cones, this tutorial shows you how to make a totally bug and prickly bits free rendition. 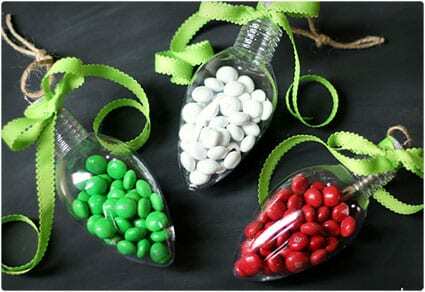 You can also opt to use different shades of green and brown, or decorate the tips for a frosted look. Nothing quite says country charm like twig and wire working. In this surprisingly simple tutorial you are shown how to transform easy to obtain wooden sticks and wire into beautiful ornaments. 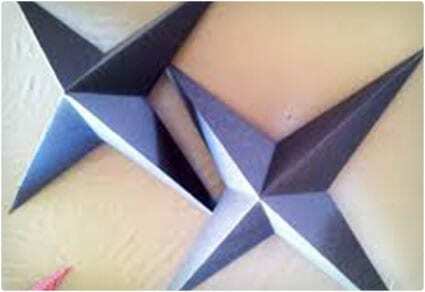 Between the materials and time it takes to make these, they are also a very cost effective project. 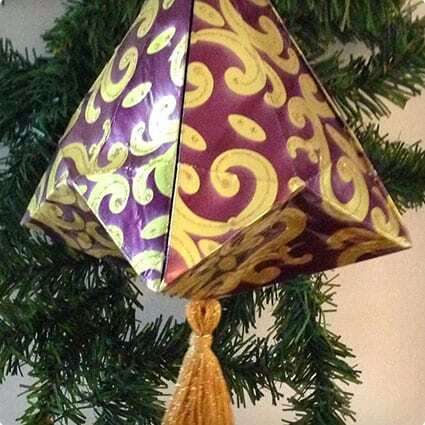 The star topper in this tutorial can also be made in a smaller version and used as an ornament according to the directions. Made from poster paper, you can opt to paint over, or use different colors, such as gold, silver, or white, whichever would go best with your chosen theme. 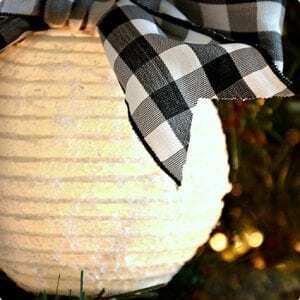 For use with non heating glitter lights, this lantern tutorial shows how far you can step from traditional ornaments to get something amazing and festive. In one sense this project can be seen as a variation that takes it back to when candles were used to light up the tree. 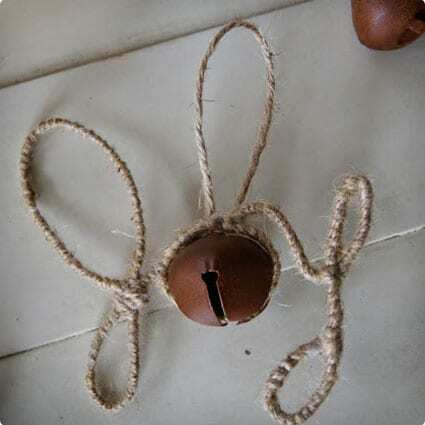 Wire and bell come together in this very basic tutorial to show that you don’t need much at the holidays to get a lot of joy. While the directions and construction are uncomplicated, the age appropriate rating for this project is a bit iffy, and more likely something for an adult to enjoy making. 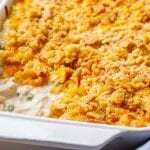 If you have a hankering for something sweet, then this tutorial is just what you need. These felt candy ornaments are colorful, fun, and fairly easy to assemble. The bright colors and traditional designs can conjure up fond memories of grandma’s candy dish. This is a great tutorial if you have tattered old books and want something to do with all the loose pages. You could also use trivial thrift store finds that you’ve no interest in reading. Whatever source you choose, this is one design that may delight the bookworms in your life. Crochet ornaments are perfect for old fashioned, or vintage décor. In this straightforward tutorial, you are given the directions for how to crochet one of the easiest of patterns; granny circles. 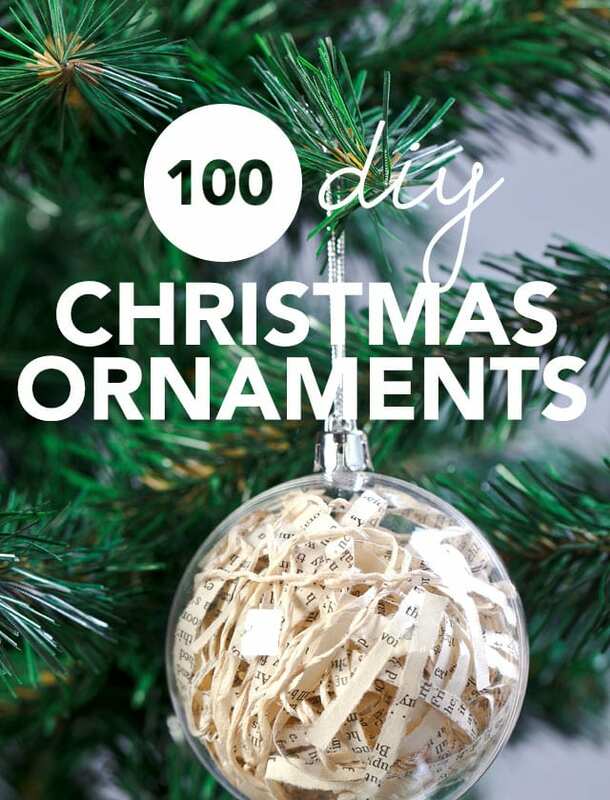 With a few modifications you can easily whip up a batch of ornaments for your tree, or as gifts. Inspired by the twelve days of Christmas theme, this tutorial was made in ode to the six geese a laying chorus. What better way to pay homage to avian stars that with feathers? 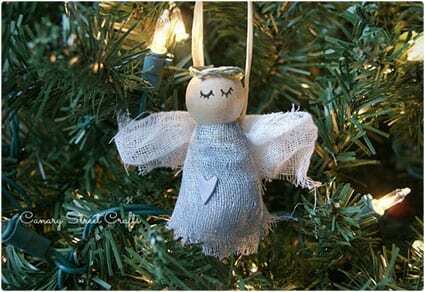 These lovely ornaments are a delight to behold and very easy to make as well. For those who enjoy interactive decorations on the tree, this guide will give you a lot of ideas for how to whip up candy filled ornaments that are decorative, festive, and delicious. You can also go healthier by using dried fruits and nuts in place of candies. Emoji are fun little icons and something just about everyone can recognize. If you want to decorate your tree with these fun and cheeky little characters, you can use this guide, complete with free printable sheets. 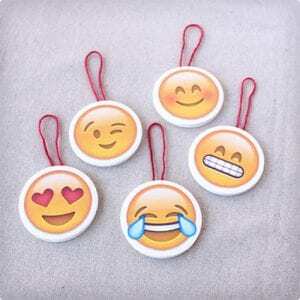 You can mount them a variety of ways, or even use them as gift tags. 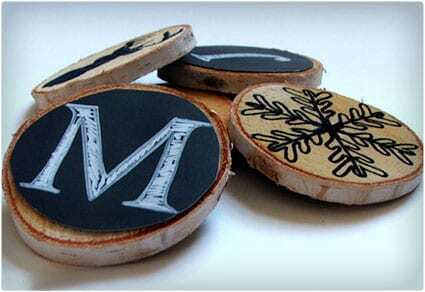 Chalkboard art can have a real vintage vibe and these ornaments are no exception. They are great as gifts for teachers, or anyone who likes vintage things. You can decorate them in a variety of ways, or keep them smudged with a bit of chalk for a real olden appeal. These unique ornaments, themed after a couple of famous characters, are painted inside and out for a creative appearance. Kids can have fun helping to decorate the outside areas, but the inside paint may be a little tricky, or messy. 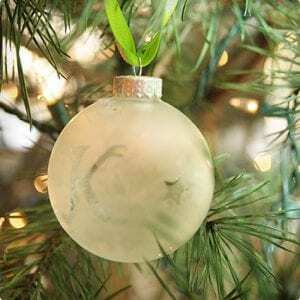 Making use of antique jewelry, or anything with a fancy pattern, and air dry clay, this simple tutorial shows you don’t have to have great freehand skills to create charming little ornaments. You can keep them in white tones, or use paint to liven them up with accents. 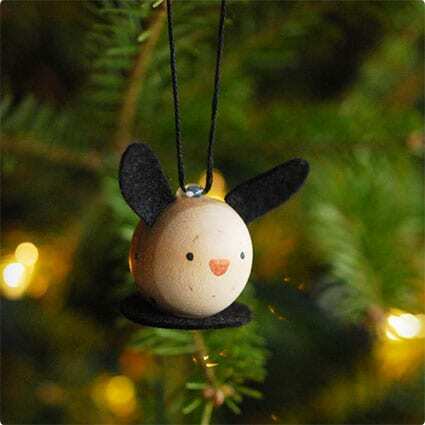 Whimsical and fun, this little collection of wooden animal ornaments is great for kids to enjoy creating and looking at. An adult will be needing for the cutting and gluing, but under guidance they can try their hand at creating simple faces like the ones shown in the guide. 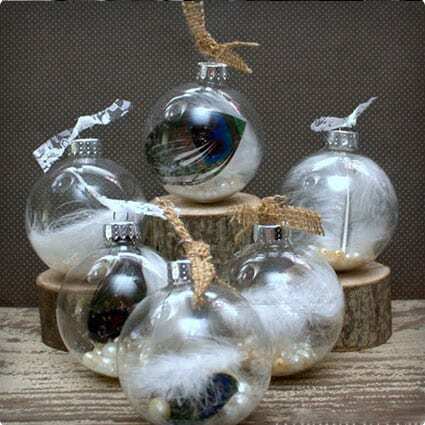 These vintage style ornaments are a great example of mixing different medias to produce something unique. You can follow along with the guide, or use a black and white filter and pictures of children you know to play the role of the pouter. Nothing says kid friendly like Popsicle sticks and wiggly eyes. This tutorial is aimed at giving little ones a fun and entertaining project for the holidays. Parents will also enjoy how clear the guide is and how cheap the materials are. 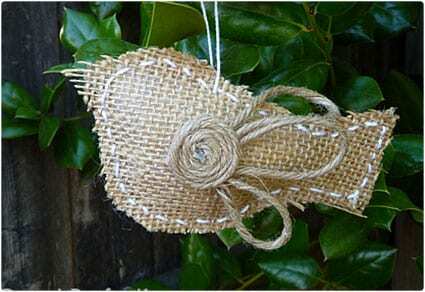 Burlap whimsy at its best, this tutorial gives you all the information you need to make lovely little birdies. Perfect for people who enjoy a country, rustic, or even vintage theme in with their trees, they are easy to make for yourself or others. 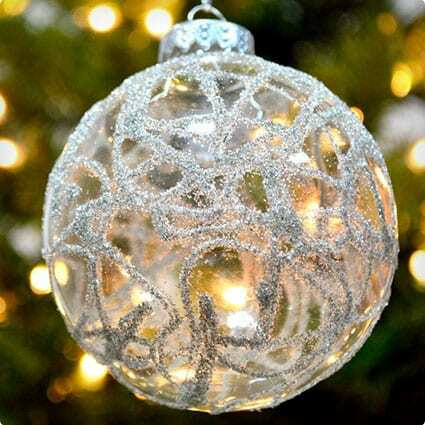 Nothing says party like a disco ball, and this ornament is dirt cheap and easy to make. All you need is a foam ball and gold, or silver, push pins. 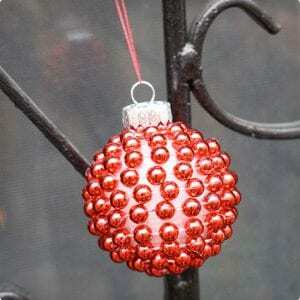 You can even use this method to redecorate older foam ornaments. 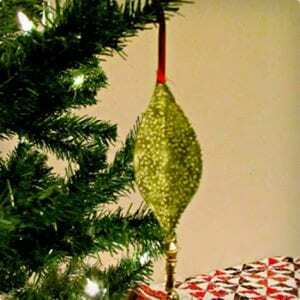 If you really want to give your tree some playful glimmer, consider these thrifty ornaments. Clear plastic and glass ornaments have to be one of best inventions since hot glue. There are many uses for them in crafts, including this idea that turns them into decorative photo holders. 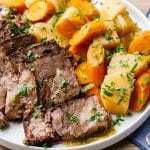 You can use actual pictures or print copies, since cutting it required. 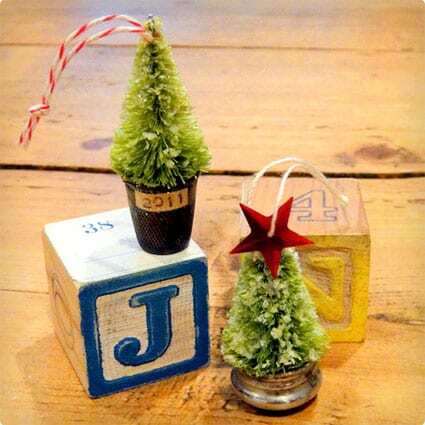 This crafty little project uses buttons to create a simple little tree that can be strung up as an ornament, or used as decoration on a mantel, or shelf. The use of small parts makes this something to share with older kids, who are likely to enjoy the bright colors and ease of construction. 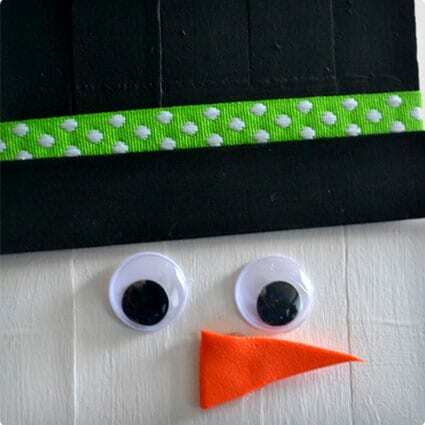 This felt project is quick and easy, and perfect for kids to help with. 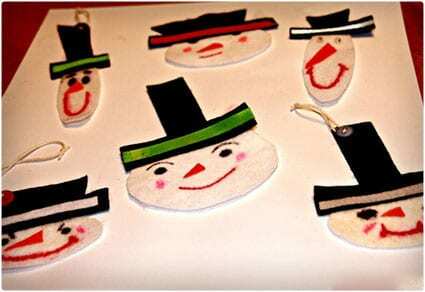 You can make a group of snowmen and decorate them to represent your family, or to fit in with your tree’s theme. The simplicity of the project makes it great for classroom sized groups. Decorating the tree with candy canes in a very old tradition. 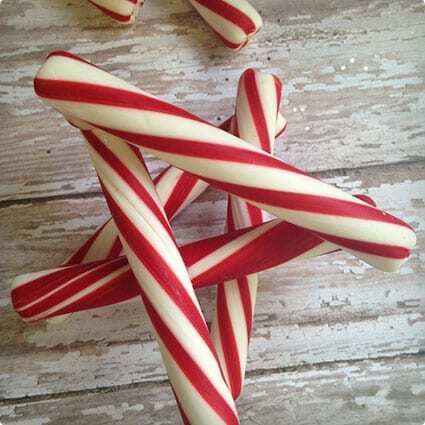 Decorating the candy canes is also a fun way to spruce things up. In this guide you are show one way you can easily transform the candy into a cure ornament, and not mess up the candy itself. Following the school of thought that ornaments can come from anywhere in the bargain bin, one crafty momma found a great way to create new ornaments for less than a dollar. You can use the ideas presented in this guide to find and make your own unique ornaments as well. Using wooden spools, ribbon, and chords, you can quickly craft up some charming little ornaments that really show off your love of sewing. You can easily color coordinate them to your tree and they even make nice general decorations for doors and wreathes. One of the best ways to utilize scraps it to turn them into Christmas ornaments. As this tutorial illustrates, you don’t need much material, or experience to make something kids will adore. You can have them help you pick out the materials and watch as you piece them together into a new bell ornament for the tree. 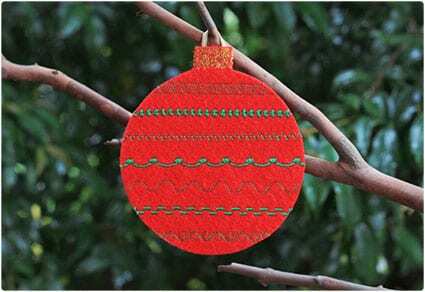 Felt is a versatile material, and in this ornament tutorial, you see how it is not restricted to being for kids. 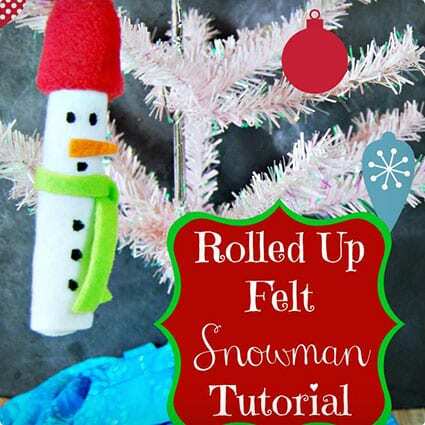 Using very basic techniques, felt is transformed into a refined ornament that you can accent to match any theme, without spending a lot of money. Snowmen are some of the easiest characters to recreate for holiday projects, and in this unusual twist on the design, you don’t need to be good at making circles. Utilizing a rolled body, kids and parents alike will enjoy the simplicity of this design. 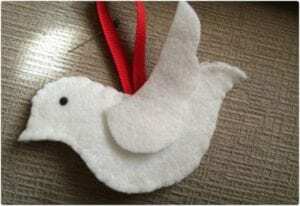 Doves are a very old icon for the Holiday seasons and in this fresh tutorial, they are given new life with felt. The crafter includes a free to print guide and plenty of instruction for how to create these beautiful little birds for your tree. Scraps are transformed into pretty little trees and given new purpose in this tutorial. 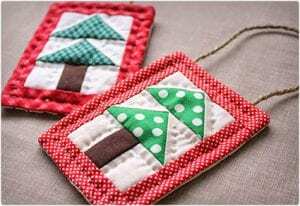 You can create a semi quilted look by using different materials to create a collage of Christmas colors. 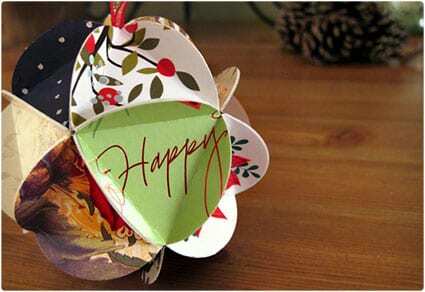 Even the hanging loop can be made from scraps of ribbon or trim that you have as well. 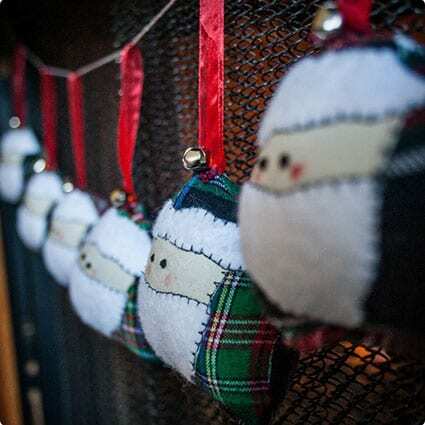 Quaint and softly featured, this Santa face ornament can be sized to fit in for different decorating purposes. The choice of plaid as the guide suggests give him a very rustic vibe, but you can use any holiday pattern or solid color you like. Thank you for including my winter wonderland ornament. Such a fun round up. Off to pin!